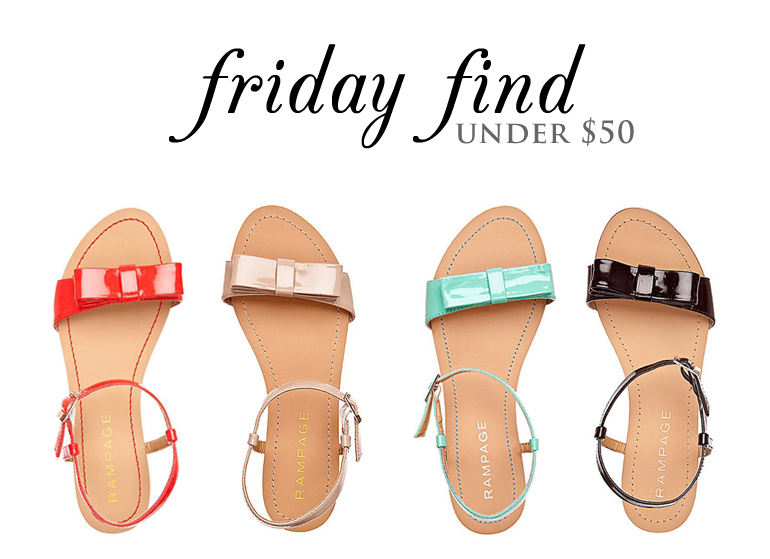 I promised myself that I wouldn’t post another pair of sandals for this week’s Friday Find Under $50, but I couldn’t pass up these pretty bow sandals that look like the Kate Spade pair I yearned for years ago. I’m debating between mint and red. Which color do you fancy? You can find the sandals at a few retailers, but Belk (linked above) is the cheapest. Amazon also has a large selection of available sizes. 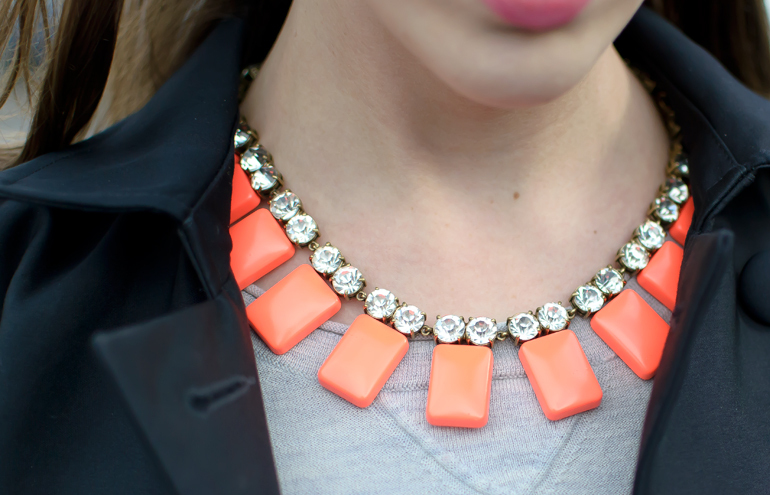 Congratulations to the winners of the JewelMint giveaway: Dianne H., Chelsea T., and Franziska H.! I’ll send you all an email shortly. Thank you to everyone for entering. Your support helps make these giveaways possible – and there’s another on the way! 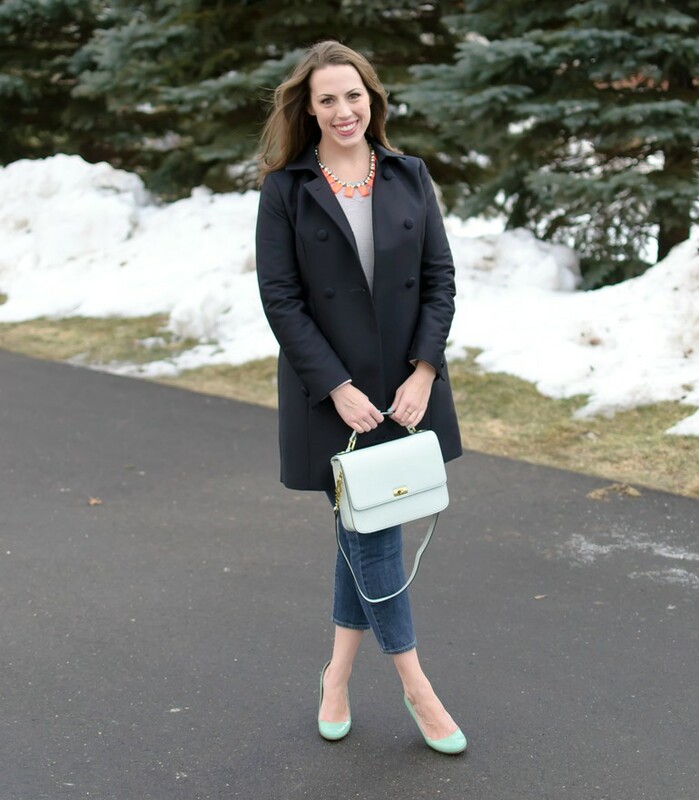 Saturday was unseasonably warm and I took full advantage of the 40-degree weather with spring accessories: my favorite Kate Spade shoes and a new J.Crew necklace. I was unsure about this necklace when it first arrived because the color is much brighter in person than it appears in the stock photo. 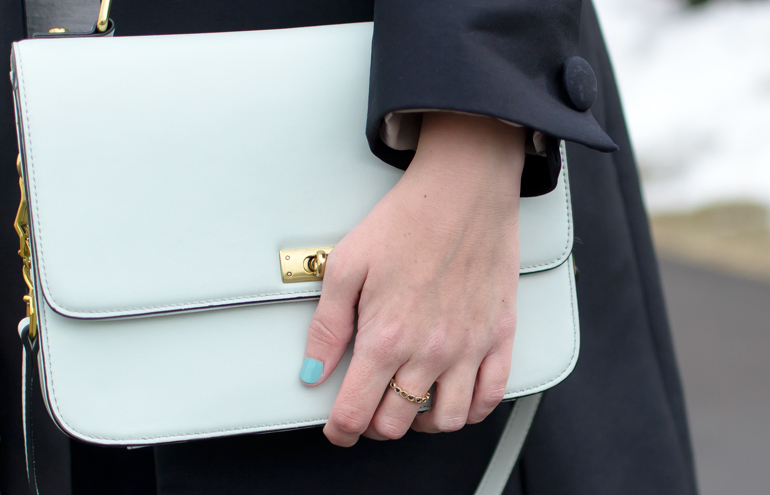 It has been a bit of a styling challenge, but I love how it looks with mint accessories. Over the past year, I’ve added four pairs of mint shoes to my wardrobe: heels, loafers, sandals and sneakers. The hue may seem impractical, but it’s versatile enough to pair with winter’s evergreen then transition seamlessly to spring. 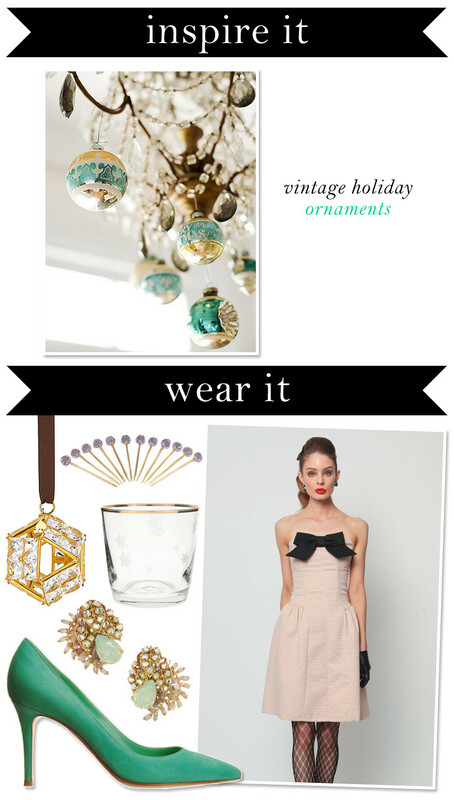 Four things contribute to a satisfying holiday season: gatherings of loved ones, gobs of glittery ornaments, glasses filled with holiday spirits, and, of course, a fabulous frock is a must! The new-to-me site, MissesDressy, has cocktail dresses in every shape and sequin color imaginable (and prom dresses to suggest to the younger ladies this spring). I’m one click away from ordering those glamorous cocktail picks. They’ll look divine on the bar cart I have yet to acquire.